International CNN: Greenland Gaining ice might not be a good thing? Climate Science or perpetual Scaremongering? Discussion in 'The War Room' started by abiG, Apr 1, 2019. I mean, c'mon already, how many times can we watch the narrative change? Starman, Hman69, JonesBones and 4 others like this. jimmas99, Wadtucket, Kafir-kun and 6 others like this. Yeah, that's not good news. The North Atlantic Oscillation was expected, it's like the northern counterpart to El Nino. BarryDillon, tonni, D3THRONED and 4 others like this. Is Greenland not part of the globe? I thought it was Global Warming? Is any temperature change anywhere proof of your religion? Because the climate has been in flux since before human existence. EyeOfNewt, Starman, AlexDB9 and 8 others like this. Ah, you deleted my response for a meme. I see memes posted in other threads constantly that are not removed, seems bias, oh well. All I did was point out that you are no climate scientist and posted the meme showing how climate science and the stories pushed by the MSM continually change. It's a shame we can never discuss these things in reality. "The North Atlantic Oscillation was expected, it's like the northern counterpart to El Nino." I really enjoy many of your posts as they can be quite informative, but on this one you come off as a total hack, deleting my post aside. Starman, IGotAHugePeckah, Bamboozled and 5 others like this. Starman, Hman69, IngaVovchanchyn and 3 others like this. do you know how trends work or no? How can we solve this problem? Oh right, give the democrats more power and authority over the citizens. Turns out that's the solution to every single problem. clmetal, Starman, misterfurious and 14 others like this. YES!!! I know how trends work. Every doom and gloom climate model ever made has been proven FALSE with time. Starman, Ultra O’Dia, Toastytoy and 4 others like this. If I see memes I put them in the meme thread. I'd read the report. Seems like that's something "climate skeptics" never do. I also follow the scientific dialogue on the scientist's blogs. I even actually read the IPCC reports. I've also read other reports on the melting Jakobshavn, from some time ago, suggesting the same sort of variation. There aren't any particularly detailed predictions of when there'll be a strong negative or positive NAO, but they are expected. That doesn't change the overall picture of climate change. jimmas99, Sano, tonni and 1 other person like this. That one poster that misinterprets data much like TCK and comes to his own unique conclusion that coincidentally isn't held by anyone credible. To top it all off hardly any actually have read about any of the science. Colchonero, jimmas99, LangfordBarrow and 7 others like this. "Global warming" is still correct, but people (like TS) are confused by the term--since, even though as a the "globe" as a whole was getting warmer, not all areas were (like the glacier in question). 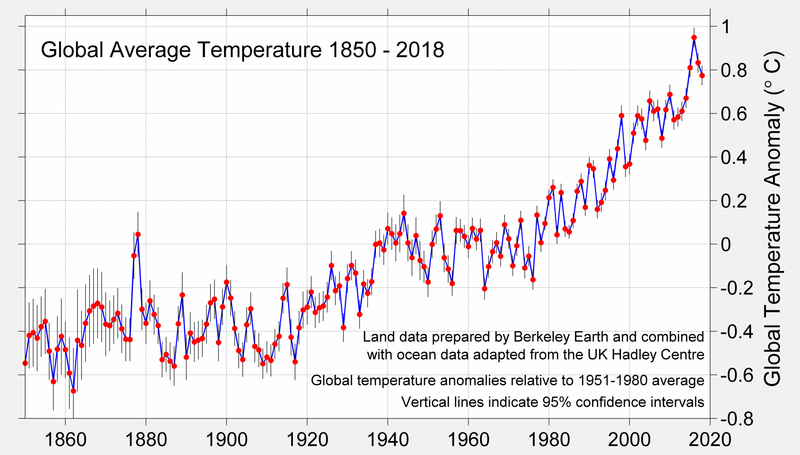 "Climate change" is a more fitting term because even if you're in an area which is cooling, or staying the same--the affect of the rest of the globe warming will change your climate. So, the part of the ocean that glacier resides has gotten a couple degrees cooler in the past few years. That's just one little spot on the planet. And just a couple measly years. Temperatures fluctuate up and down every few years, but the trend is going up. The down years are still lower than the up years, but they are warmer than previous down years and the up years are warmer than previous up years. jimmas99, Armbars, MadSquabbles500 and 5 others like this. I don't think you understand how science works.... unlike religion, it changes its stance as new data comes in. "Global warming" is still correct, but people were confused by the term--since, even though as a the "globe" as a whole was getting warmer, not all areas were. "Climate change" is a more fitting term because even if you're in an area which is cooling, or staying the same--the affect of the rest of the globe warming will change your climate. lol thats how science works??? mental gymnastics? Starman, Ultra O’Dia and Hman69 like this. jimmas99, LangfordBarrow, MadSquabbles500 and 1 other person like this. LOL What are scientists supposed to do when new data is discovered and confirmed? Sano and no fat chicks like this. just forward the memes to him from people you don't like and he'll remove them. "We had pretty much assumed"
Hman69, Patrick Carey, PhitePhan and 2 others like this. Starman, JonesBones and uppercutbus like this. I like to ask the same thing anytime a goof tard points out illegal alien crossings are down. uppercutbus and Contra-dictator like this.